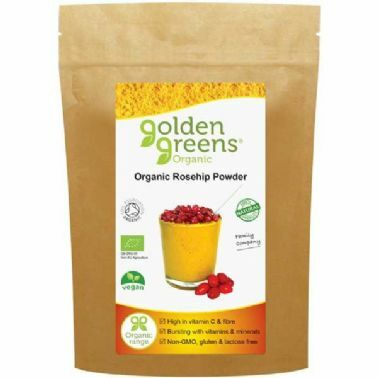 Rosehip powder is made from the bright red rosehip buds and the whole fruit is used including the shell and seed to give a powder thats bursting with fibre, antioxidants and vitamin c. You can add it to smoothies and juice and to hot water to make rosehip tea. Vitamin c contributes to the reduction of tiredness and fatigue. Suggested use 2g-5g ( 1/2 - 1tsp) daily. Mix with water, juice or a delicious smoothie. Rosehip powder should not be used as a substitute for a varied, balanced diet.